Hanoi to open book street on third Lunar New Year day. Hanoi (VNA) - The Hanoi Department of Information and Communications has announced that a book street will be opened from the third to the eighth day of the Lunar New Year, or February 10-15. 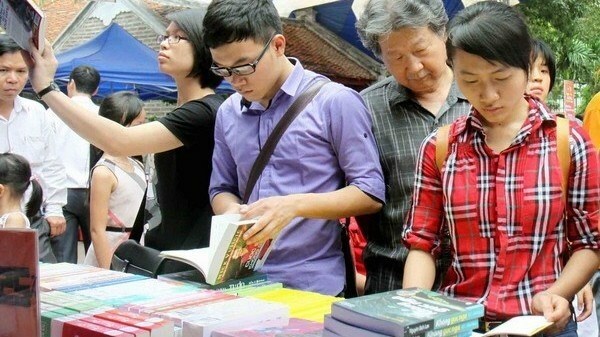 The event will take place at Le Thach street in central Hanoi and feature books on the culture and history of Hanoi as well as Vietnam’s socio-economic development, the Communist Party of Vietnam and President Ho Chi Minh, reported Nhan dan newspaper. Visitors to the book street will have an opportunity to meet famous writers, receive calligraphy works free of charge and enjoy Vietnamese tea.